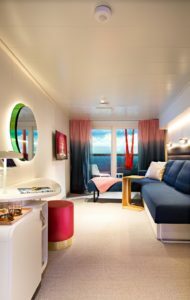 Ever since my Navy days, I’ve loved the sea, and now the adults-only Virgin Voyages’ Scarlet Lady will take us there in a whole different way! Amazing accommodations, new innovations, and improvements to current industry standards! 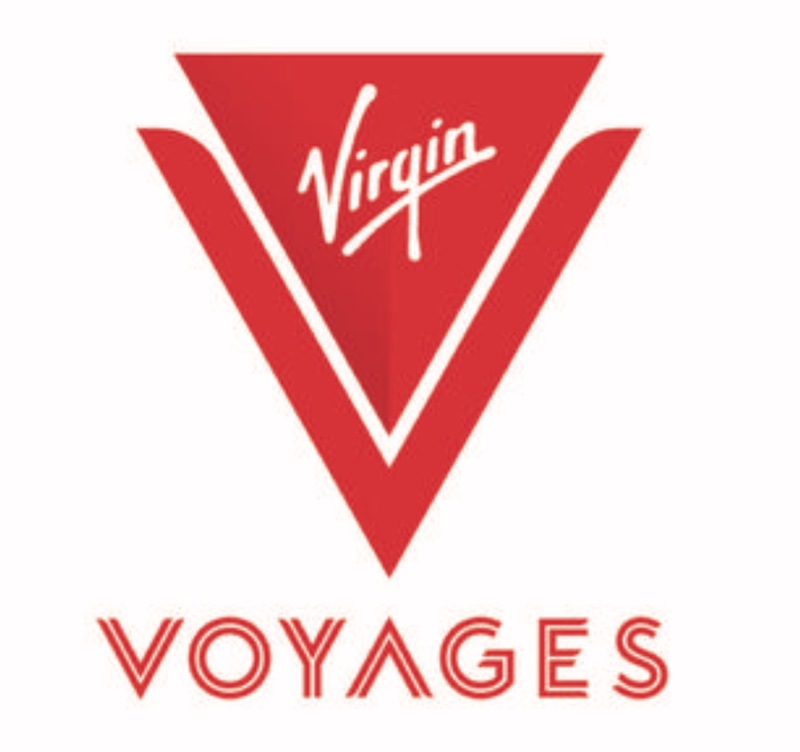 The cruise line founded by Sir Richard Branson tells us that all of their cruise ships will be gratuity-free. No automatic service fee (i.e. tips) will be added to your onboard account. 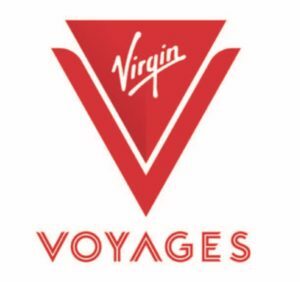 Gratuities will be included into the voyage fare. No long lines at guest services the night before you dock back home to remove gratuities! 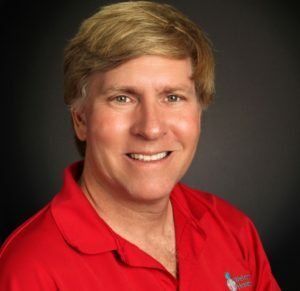 Also covered in the cruise fare are all eateries, group fitness classes and basic beverages. If you would like to tip, that is up to the “sailor” (cruise passenger). The big announcement is a reveal of the non-suite staterooms. 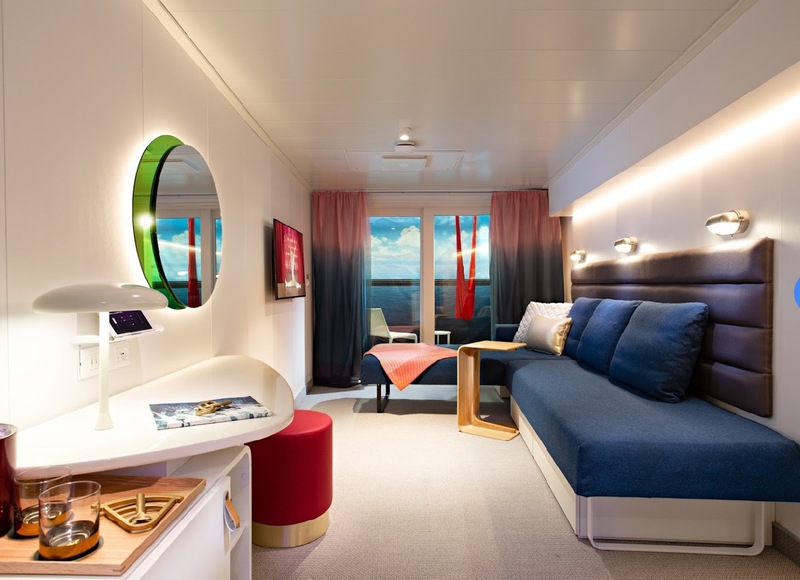 Another industry first, these slightly angular-shaped cabins will feature what Virgin calls “flexible furnishings”, conducive for socializing and relaxing, not just for sleeping. 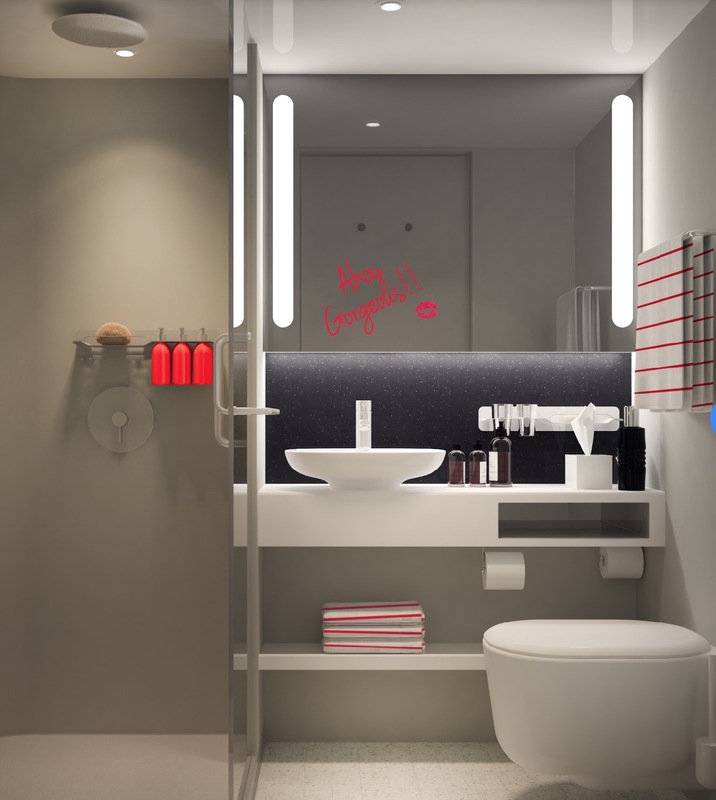 Sea cabins will have minimalist-designed bathrooms for a more spacious feel. 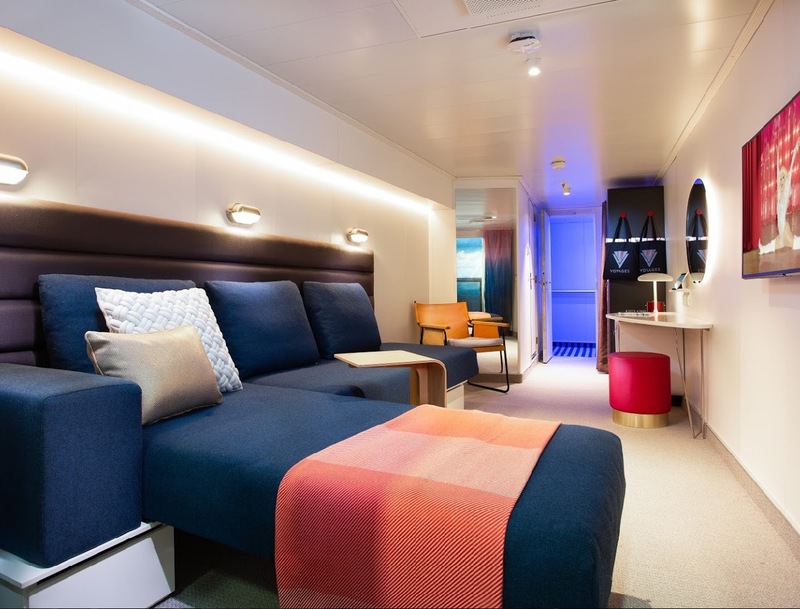 Eco-modes will control air conditioning, lighting and even the curtains will close to adjust to an eco-saving mode when a Sailor steps out of the cabin. 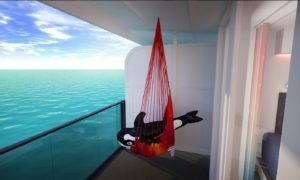 Scarlet Lady will have several cabin categories – 93 percent of the 1,330 cabins have an ocean view and 86 percent with a Sea Terrace. 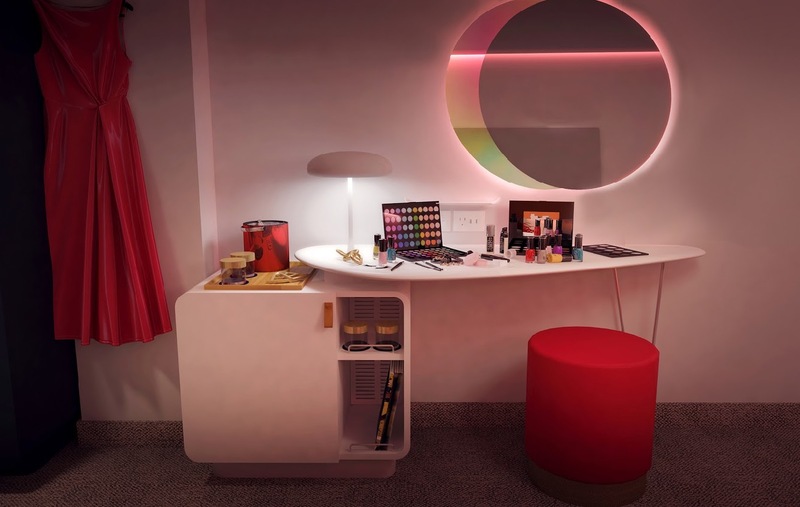 An element found in other Virgin ventures, Scarlet Lady will have mood lighting in each cabin. For example, the colored lighting will automatically adjust to the time of day, based on where the ship is in the world. Caribbean cruises will feature lighting in shades of the blue seas during the day and morph into the gold to purple sunset colors as the day ends. Almost all cabins feature modular SeaBeds which transition from two twins during the day to a queen-size bed at night. 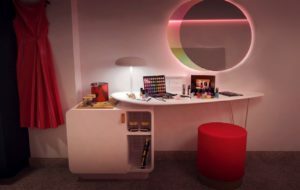 In-room entertainment includes a 43″ 4K flat-screen HDTV, mini bar, a glam/desk area plus flexible closet and storage spaces. All terraces aboard Scarlet Lady will have custom-designed hammocks, handwoven by artisans from Yellow Leaf, a social organization in Thailand that encourages women’s empowerment and community transformation. 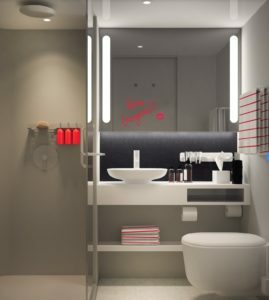 Scarlet Lady cabins will come in all shapes and sizes. Among the cabin designs with either a terrace or ocean view are the XL Sea Terrace cabins, Sea Terrace cabins and Sea View cabins. 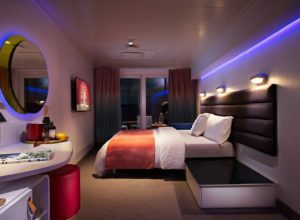 The interior cabins are called Insider cabins, Social Insider cabins and Solo Insider cabins. 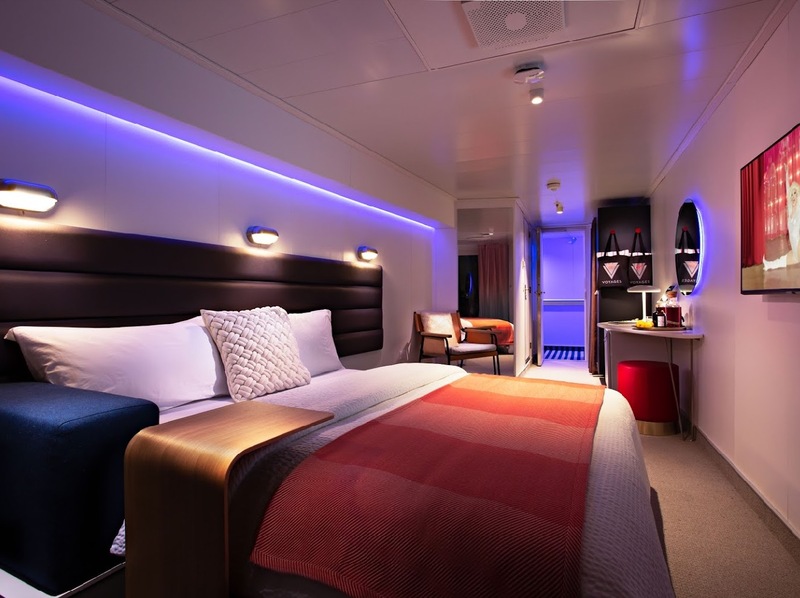 The Social Insider cabins can sleep up to four in a chalet-style bunk. Solo Insider cabins are specially priced for the solo traveler.